We may need up to 24 hours notice (depending on demand) to book a massage for you. 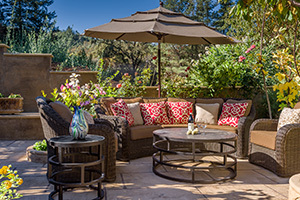 Please call us at +1 (707) 942-5651 so that we can set up a time that's convenient for you. Massages (Head-to-Toes) are $135 per hour by appointment. Styles can include Swedish, Deep Tissue, Acupressure, or any treatment necessary to create a feeling of relaxation and rejuvenation. 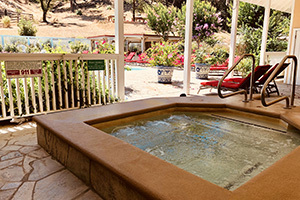 Massages can be performed in our private massage room, your room, or your private deck. 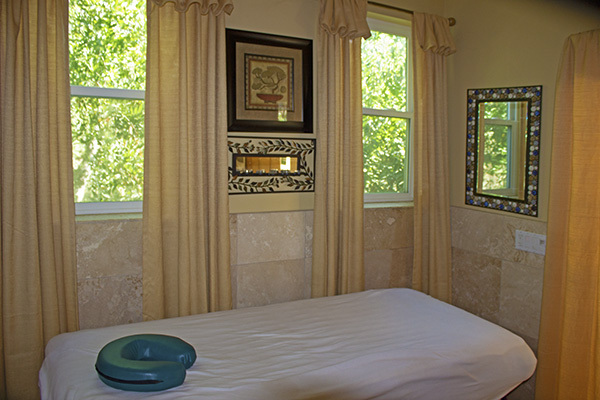 You don't need to be a guest at Meadowlark Country House and Resort to book a massage. 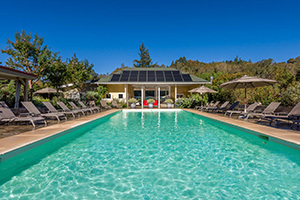 You can enjoy your massage in one of the most beautiful venues in Northern California AND the massage rate includes free Day Pass use of the pool, spa, pool grounds, and sauna! Touch has the power to transform us. Experience the exquisite relaxation and healing a massage can provide. Feel an awakening of your entire body to new possibilities. Explore your potential with a massage that invigorates you, your mind and spirit. Derive from that an awareness that we carry an amazing energetic potential in our body. Massage can have many different effects. It can reduce stress out of all parts of your body while awakening your positive energy. If you are looking for all of the above in a massage which includes the entire body in a setting where you can feel completely comfortable to let go, then try to have a massage at Meadowlark. Massage can be enjoyed either in the massage room, the deck area at the poolside, in the privacy of your room or your private deck.